The dimeric aspartyl protease cleaves Gag polyprotein, Gag-Pol polyprotein and Nef precursors shortly after the budding of the virion from the plasma membrane in a process called maturation . Hydrolyzes host EIF4GI and PABP1 in order to shut off the capped cellular mRNA translation to ensure maximal viral gene expression while evading host immune response . 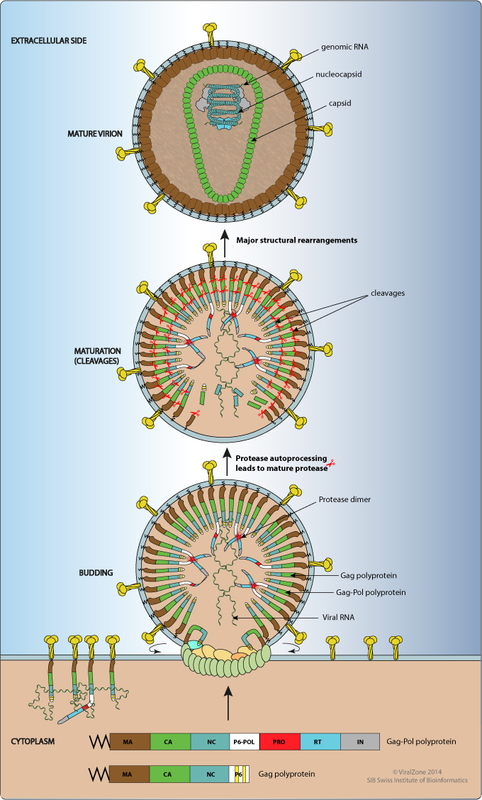 Gag polyprotein, Gag-Pol polyprotein, Nef, and host EIF4GI and PABP1. 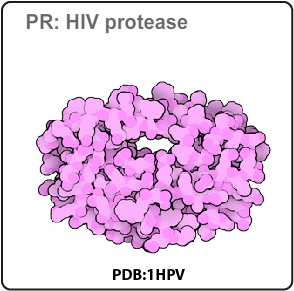 Antiretroviral Drugs Protease inhibitors (PIs) are an integral component of highly active antiretroviral therapy (HAART) and inhibit the HIV Protease protein to prevent virion assembly and maturation .